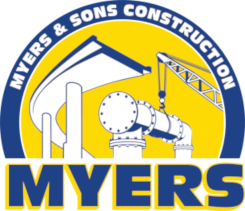 AGC of California recognized Myers and Sons Construction for our participation in Safety Week. The intro reads: Throughout this week, several AGC member companies held safety stand-downs and conducted safety trainings covering fall protection awareness, confined space entry, vehicle and equipment safety, ladder safety, and active shooter training. Project teams, like Myers & Sons Construction pictured at the 101 Freeway Project from Hollywood to Calabasas, kicked off their Safety Week with food, prizes, and an open forum safety meeting. Our summer issue of the California Constructor Magazine will also feature a safety corner spotlighting member safety activity this week.